Urbana’s East Elementary school is completely gone, as crews work to fill in and grade the now vacant land. The track will be maintained for community use, with the marching band using the remaining green space for practice. Urbana’s new school buildings raised an uncomfortable side effect: the need to dispose of the old buildings. Urbana East, North, South and Local schools were all in various states of disrepair and the options for dealing with each came on a case-by-case basis. Developer Flaherty and Collins, based in Indiana, showed interest in renovating North and South into senior living facilities, provided grant funding could be secured to assist in the endeavor. Plans seem to be on track for that redevelopment. The school transferred the buildings to the city in early 2018 for the modest cost of $1 each, so that the city and the Champaign Economic Partnership could handle the sale to Flaherty and Collins. There is a price agreement in place of $354,000 between the district and the developer. The city and CEP will each deduct costs incurred, plus 3% for CEP. Then the rest of the money goes back to the school district. The other two buildings reportedly didn’t garner much interest, with the board deciding to demolish the structures due to time constraints on the state-provided funding for such ventures. Hildebrand expounded further on the district’s reasoning. Now that the buildings are demolished or sold, the board of education maintains its full discretion over the property. “The board has the option of what to do with the vacant property. If it is determined there is no future planned use, then it may be disposed of using a bidding or auction process. It could also go through the transfer process like North and South if all parties agree,” Thiel said. 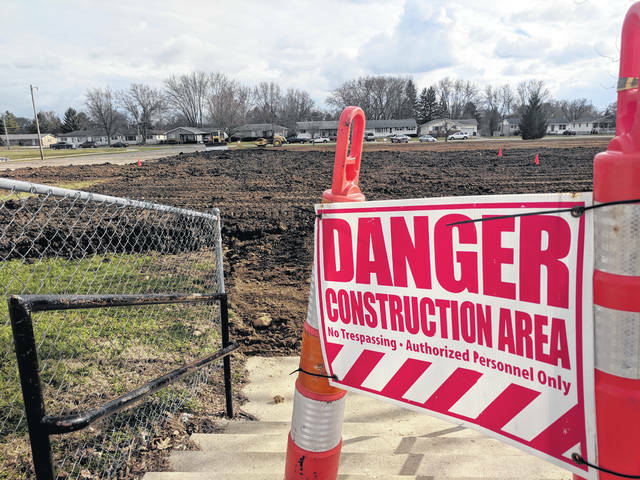 https://www.urbanacitizen.com/wp-content/uploads/sites/36/2019/04/web1_EastGone_ne20194519130598.jpgUrbana’s East Elementary school is completely gone, as crews work to fill in and grade the now vacant land. The track will be maintained for community use, with the marching band using the remaining green space for practice.